We are so pleased to announce that Lottie and Lil will be showcasing cake pops and pie pops at The Spring Wedding Show! The Wedding Co organizes this fabulous show filled with tons of Toronto’s top wedding vendors. 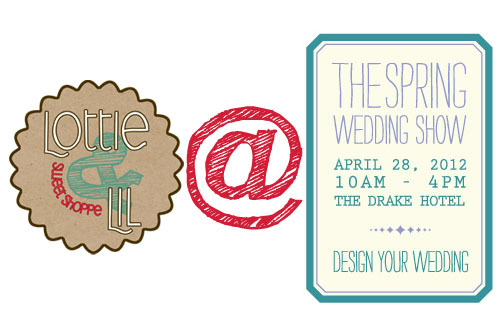 The Spring Wedding Show is hosted at The Drake Hotel on April 28 from 10am-4pm. Come check out this amazing venue and the oh-so talented vendors! Be sure to pop by our booth for a chat and a bite-sized treat. 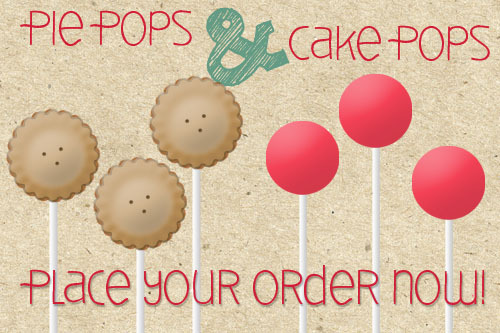 We are also offering a show special, pre-order a tasting pack of cake pops and pie pops. You’ll be able to take home a variety of 6 of our pops to enjoy with your family and friends for the special price of $10. Contact us at robin@lottieandlil.com to place your order. See you all at the show!! This entry was posted on Thursday, March 29th, 2012 at 7:41 pm	and is filed under Recent Creations, Special Event Pops, Wedding Pops.